The main target is young people all over Africa, but correspondents from other parts of the world are welcome to join. At Early Life Radio, you don't have to be a professional journalist to join the team! What we need is someone with a passion for journalism. We give you a platform to be part of the journalism world and get to meet with other journalists across the globe as you get to be read by and inspire the world. Starting with February 2012, Early Life Radio will host monthly online trainings for basic skills in journalism led by renown personalities in the field from all over the world. You will get to interact and exchange ideas with the best! So register on www.earlyliferadio.com and be an active author to be part of a free one-month journalism training. 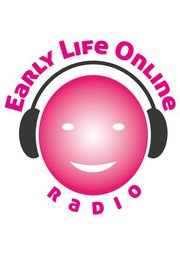 Early Life Radio is an independent network hosted at the Pan African Movement Secretariat in Uganda. It's led and supported by a group of journalists from Uganda and Kenya. It provides long distance mentoring, training opportunities and a platform to venture into journalism.